We got a call from Ang Temba today. 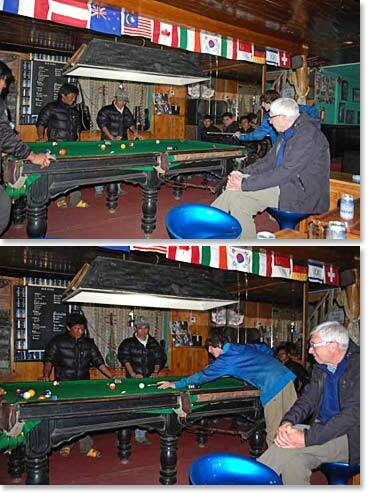 He said that the team had a very eventful last few days in Lukla! 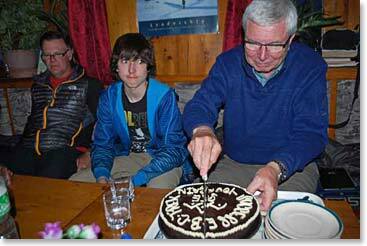 Last night the team had a celebration party with their guides and staff. They played some pool and had a wonderful dinner and finished the meal of with a delicious cake! 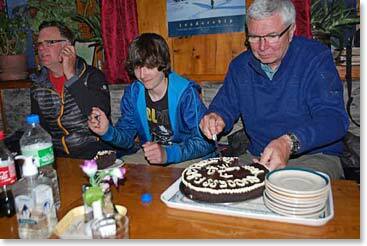 The team thanked their guides and staff and then went to bed in their lodge in Lukla. Back in Lukla and it is time to relax and celebrate! A game of pool sounds like a great way to begin the night! 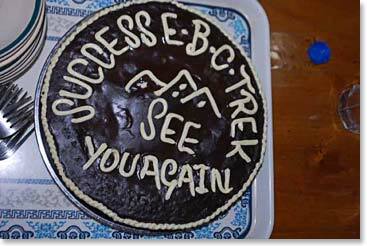 A beautiful cake made to congratulate the team on a very successful trek! Jackson looks very excited to try the cake! Jim Brown expresses his thanks to the hard working BAI staff. This morning the team woke up nice and early quite excited for the day ahead. 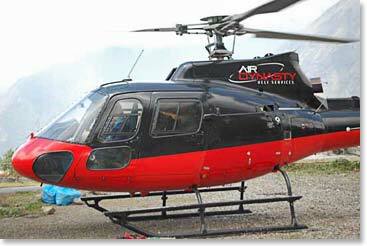 They were mostly excited because they were about to board an Air Dynastic helicopter that would fly them from Lukla to Kathmandu. 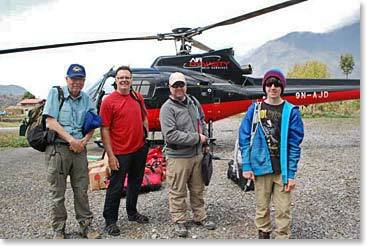 It was a really amazing experience for them to be able to fly out of the mountains on a helicopter! They were also very lucky they left early because right after they departed Lukla the weather got really bad and no other teams were allowed to fly to Kathmandu. 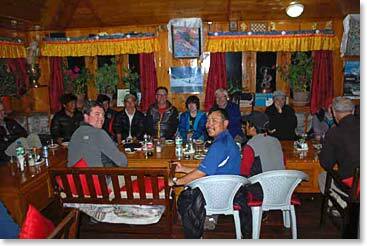 Temba reported that the team is doing great in Kathmandu, they are very happy to be back at the Yak and Yeti. 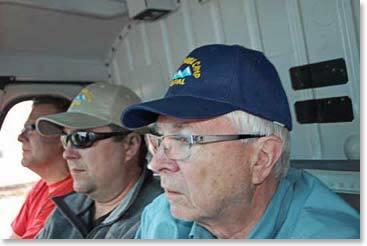 The team ready to take off! Back to Kathmandu we go! Tomorrow the team will rest in the morning before boarding their 6 PM flights home to Alberta Canada. They had a wonderful journey through the Khumbu and they will have many stories and amazing photos to share with their family and friends. Congratulations to Jim Allen, Jim Brown, Ryan Brown, Jackson Brown, Dave Cohn and all the wonderful Berg Adventures guides and staff for an amazing trek to Everest Base Camp. 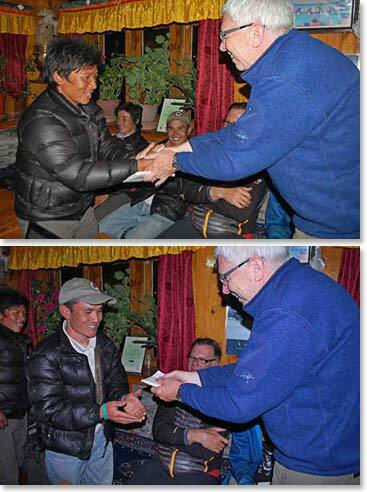 We hope to see you all again in the Khumbu soon!